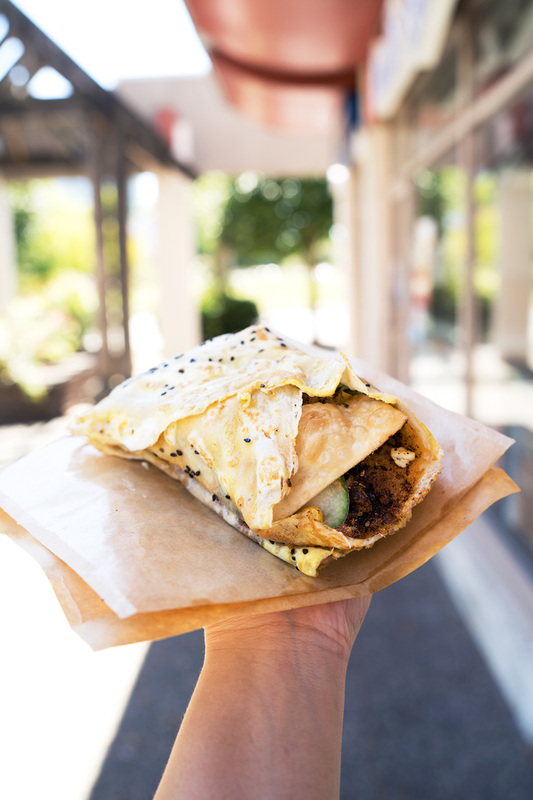 Me and Crepe is a multi-location creperie that specializes in Chinese crepes (Jian Bing). They are currently participating in the Vancouver Foodster Crepe Challenge of which I am a media judge. 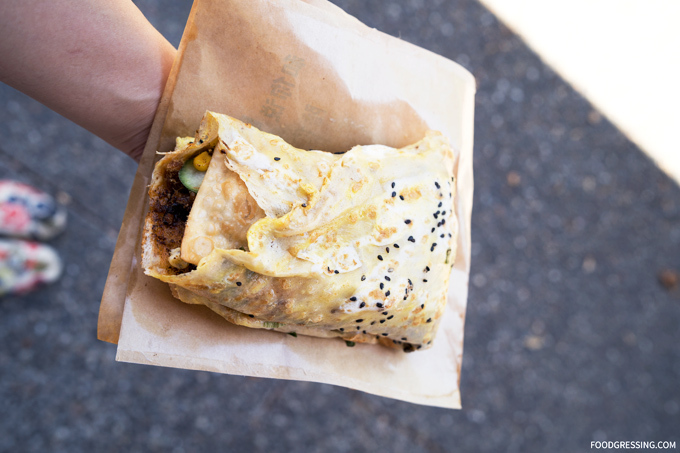 Today I had the opportunity to try out their participating crepe: Deluxe Peking Duck Crepe. Crepes in China originated from the streets of Northern China hundreds of years ago. It is now one of the most popular grab-and-go breakfast you can find all around China. The traditional Chinese crepe is made with egg, mixed wheat/bean flour, green onion, cilantro, and typical fillings are lettuce and fried fritter or Chinese donut. 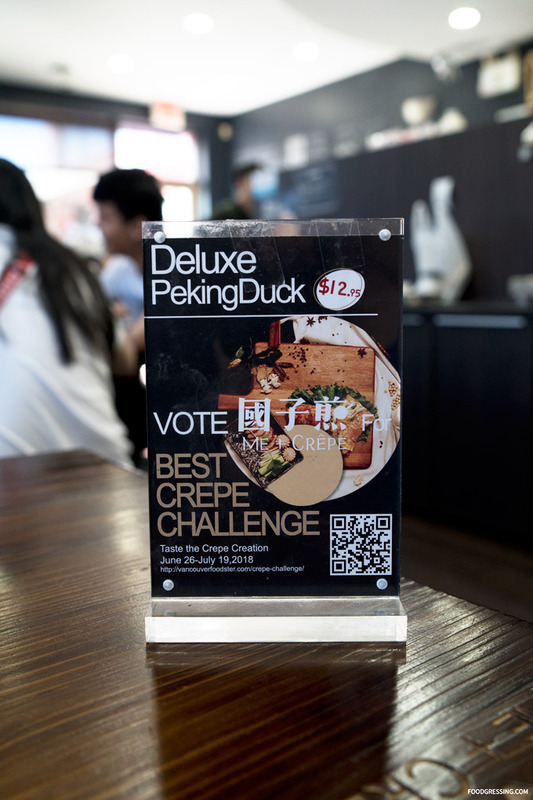 Me and Crepe decided to incorporate Beijing Duck – a traditional Chinese dish – into a savoury crepe. 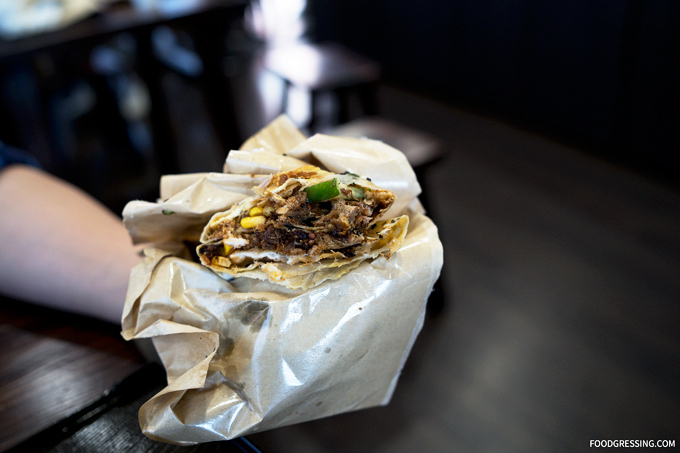 Sizzling barbecued Beijing Duck, cucumber, corn, green onion, egg, onions, cilantro and special home-made bean paste are wrapped inside a traditional Chinese Crepe made with mixed bean flour. For some added fun, a fried fritter is included in the filling. Here are some photos of the crepe I tried. 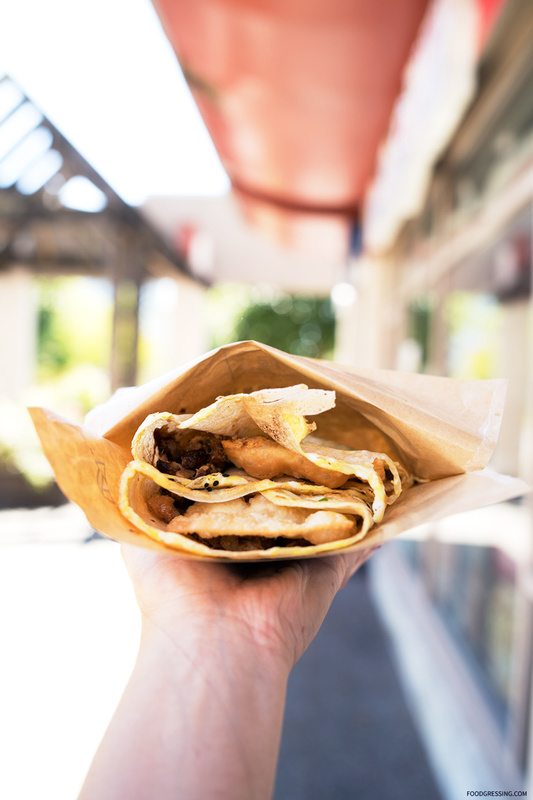 The crepe is priced at $12.95 and was created for the challenge which runs until July 19. Offered from 8:30am until 2:30pm Monday-Friday.